This week has been an absolute whirlwind. I needed a little bit of super-simple baking for our weekly baking venture and this recipe (if you can call it that) was just what the doctor ordered. Johnny and the girls were playing out back on this unseasonably warm day, so I was alone in the kitchen this week. It was a nice bit of quiet time. So cute and a really easy treat! Love it. This is such a great idea! 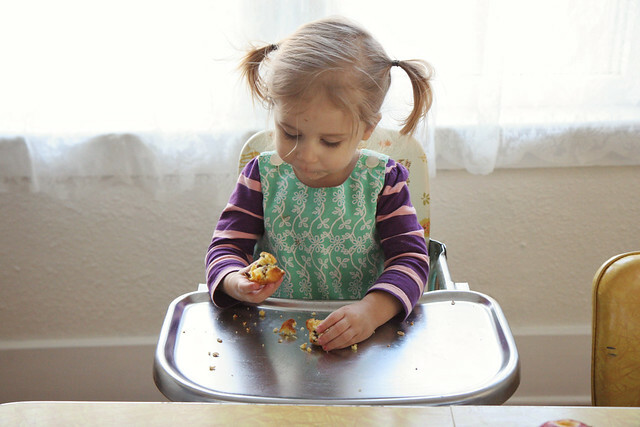 I never thought about adding things to the muffin mix! Do you have any other suggestions of add ins? Oh Poe! That smile! She is a serious heart melter Katie! i love that poesy is your official taste-tester. i questioned if she would give it the thumbs up come first photo, only to confirm yet another success by the second! congrats!! Ooh these look thoroughly yummy and with so little effort, I love making a packet mix your own! 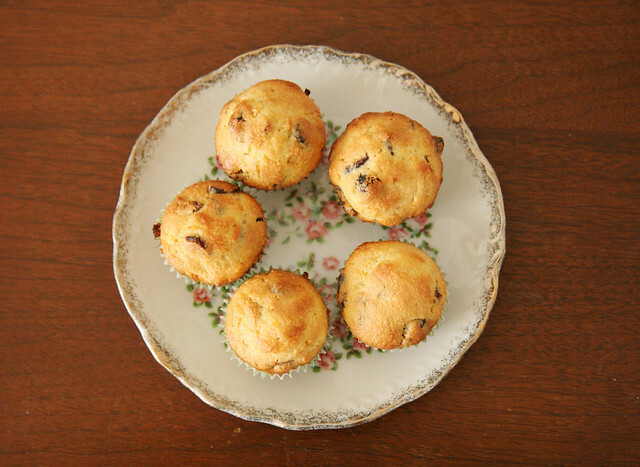 Oh my favourite kind of muffins, they look great! Nice photos! 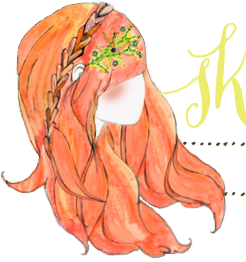 I am Aldana and follow your blog for years. That was how I met Elsie's blog, Emma and Red Velvet. I wrote a mail to Elsie and her response was very friendly. We also comment on a post that made Emma very beautiful "FALL IN LOVE, LOVE DEEPLY". I could not stop commenting on your blog, because thanks to you, I met all! My English is very bad, always use the google translator. 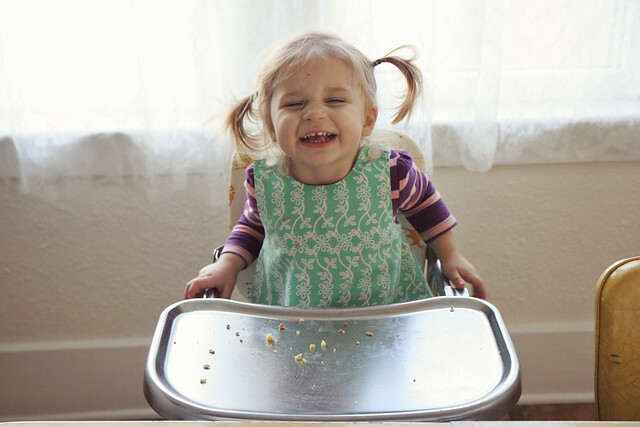 : P but it's so cute you do and everything you show on your blog, I have the need to tell you! All have wonderful families! I am pleased know them and see in the photo to upload to blog much happiness. It is a pleasure every day, see all the post. yum! 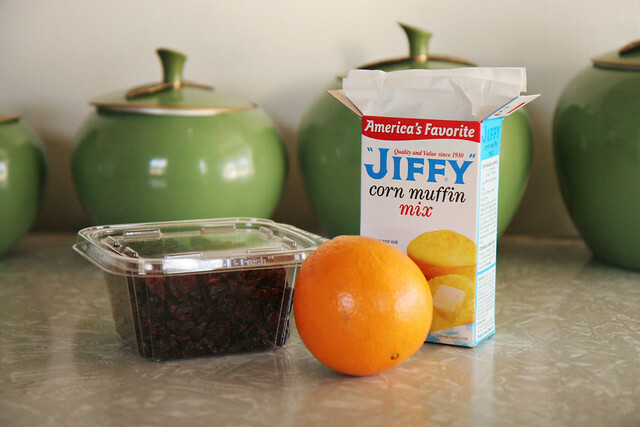 we use that jiffy corn muffin mix all the time! 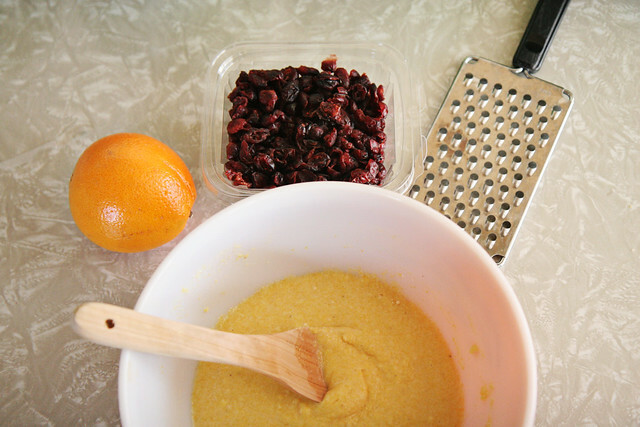 i always add cranberries, but i've never tried orange zest. that sounds great. Must make these soon. I love corn muffins. The orange and cranberries sound like an amazing touch! These sound DELISH!!! A Must try this weekend I do believe. The combo of those flavors will be PERFECT I just know it. Also, you have the most Amazing hair!!! Where in the world did you find that awesome tomato cardigan?!? !